Check on and fix up your vehicle – A car in good condition will help you stay safer when driving in icy weather. First, get your car checked out and get any problems fixed. Be sure to replace old tires with new ones that will have a better grip. Check your tire pressure, too. Pack an emergency kit – Take time to gather together emergency items, like a first aid kit, extra clothes, and a blanket. In the event that something were to happen, having these items will help you stay warmer and safer while you wait for help to arrive. Know what to look out for on the road – Next, try to keep an eye out for icy road hazards, like black ice. What looks like a wet area on the road could actually be ice. Don’t panic if you slide – Finally, if you should hit a patch of ice and start to drift, don’t panic and don’t slam on the brakes. Take your foot off the gas, turn into the skid, and gently apply the brakes as you are able. 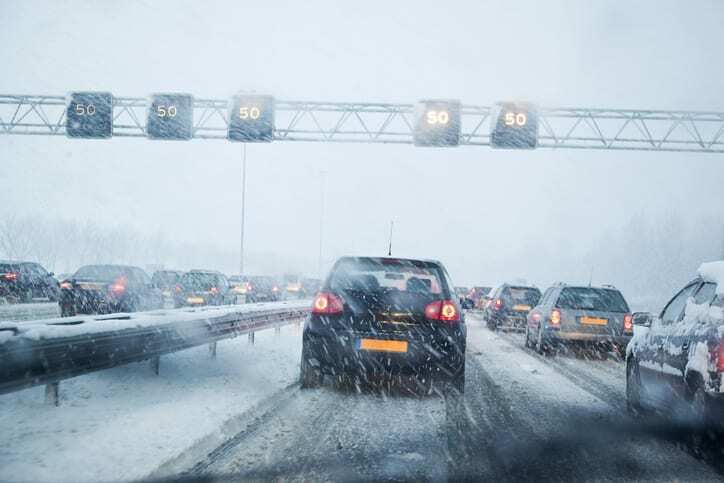 Stay home if conditions are bad – Many people overestimate their ability to drive in winter weather. No matter where you’re from or what type of vehicle you have, driving on ice is dangerous. Stay at home, especially if directed to do so by your local authorities. It’s always better to be safe than sorry. If you suffer auto damage due to an ice storm, call your local auto body repair shop for help. See how Carolina Collision & Frame Service can rescue your ride.